Strong partnerships are critical for businesses, for communities and for educational institutions as well. At Rowan University, which has undergone immense growth during the last several years, exceptional partnerships have enabled our institution to co-found the first four-year M.D.-degree- granting medical school in South Jersey; add new paths to a bachelor’s degree in collaboration with county colleges; increase research and expand relationships with business and government operations; add living space for students in concert with private developers; and enjoy the vast benefits of Rowan Boulevard, the $400 million mixed-use redevelopment project in Glassboro brought to life by a public-private partnership. 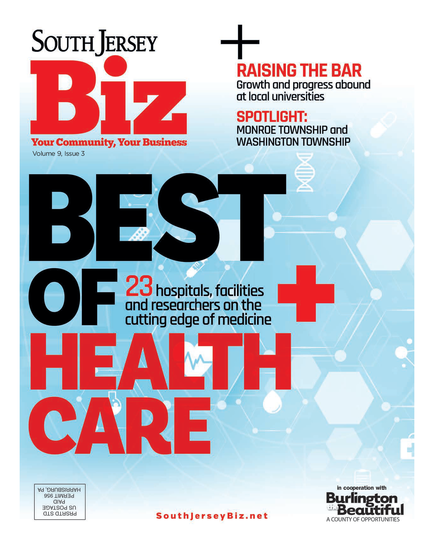 Our partners include (and have included) Cooper University Health System, Kennedy Health, Inspira Health Network, the Borough of Glassboro, private developers, Fortune 500 companies, government agencies, South Jersey county colleges and K-12 school districts, among many more. Those partnerships have led to initiatives that have changed our university, expanded our students’ opportunities and improved our communities. Through them, we have welcomed students into the new Holly Pointe Commons residence hall, drawn the Spanish veterinary pharmaceutical firm HIPRA to our South Jersey Technology Park to build its North American headquarters and contributed to the growth of our South Jersey economy. • Ensure you are partnering with a stable organization, one that is fiscally sound, has responsible leadership and a succession plan (if necessary) and maintains strong relationships with others. • Select a partner with aligned values and goals. It’s critical to stay true to your mission and your vision; to be able to maintain integrity; to be responsive to your constituencies, including shareholders. You cannot do this with a partner that operates contrary to your value system. • Both partners need to be willing to focus on the good for their organization and for the other. While your organization might not see an immediate benefit, there is value in supporting another organization while you anticipate future direct and indirect benefits. • Have similar attitudes about risk. A risk-averse partner will have difficulty dealing with the potential fallout that comes from a partner willing to accept high-risk scenarios. One willing to fly in the face of challenges may feel constrained by a more conservative partner. • Ensure you do due diligence. You do not want to have any surprises after the ink dries. 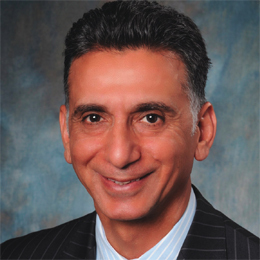 Dr. Ali Houshmand is the president of Rowan University.